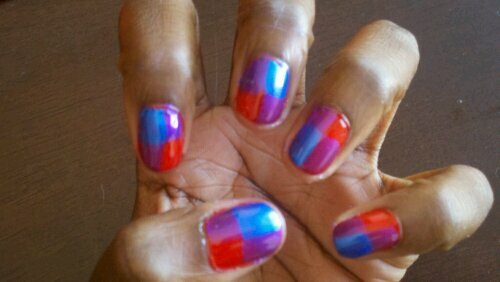 I’ll admit, I was doing a lot in this manicure. 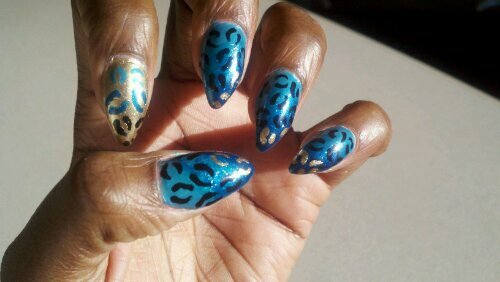 I mean an ombre (fading colors from light to dark) base color and ombre cheetah print all together? Well I love the turquoise/gold color combination. I also love ombre and animal prints. But all 3 in the same manicure? Why the heck not? Ombre nails popped up on the runway this fall on Jen Kao’s Spring 2012 Mercedes Benz Fashion Week runway show. 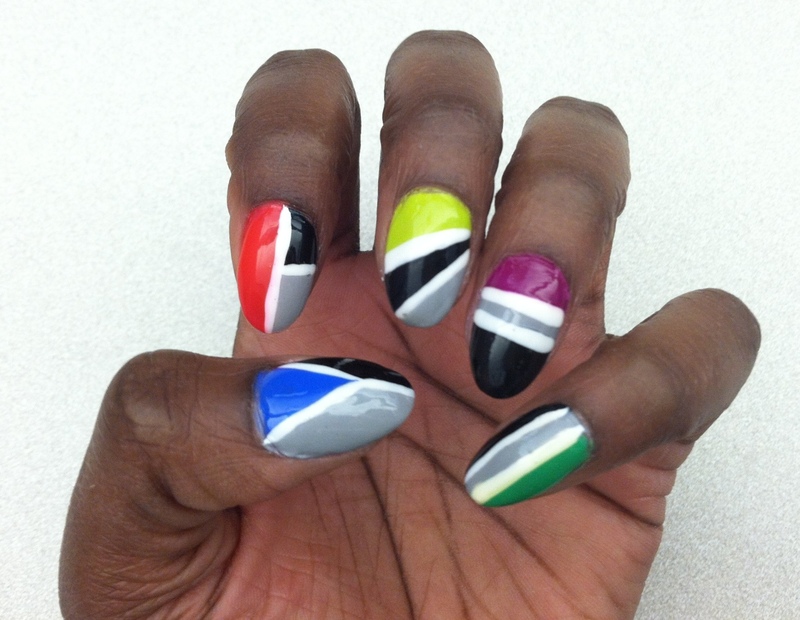 CND (creators of the popular Shellac manicure) created 4 different ombre looks especially for her models. CND airbrushed nails for these looks but I find it pretty simple to do this look at home as long as you have a makeup sponge to help you blend one color into the next. 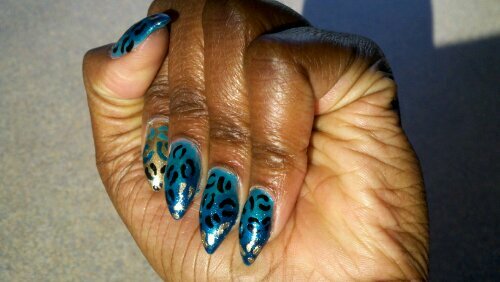 For my look, I used Orly Bailamos, Sally Hansen HD Spectrum, and Wet N Wild Fast Dry Teal of Fortune to create the teal ombre base color on the majority of my nails then Wet N Wild Fast Dry Ebony Hates Chris and Orly Luxe to do the black and gold cheetah print. 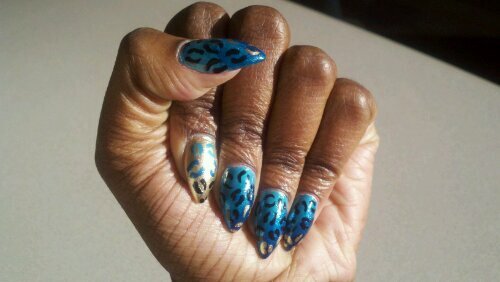 On my pointer fingers, I used Orly Luxe for the base color then Orly Bailamos, Wet N Wild Fast Dry Teal of Fortune and Ebony Hates Chris for the ombre cheetah print. 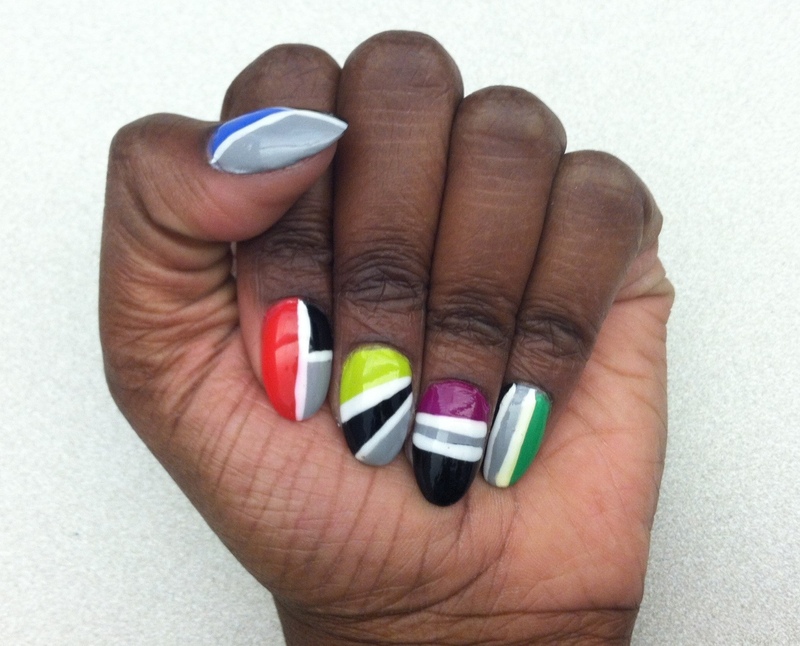 I absolutely love this mani…hope you enjoy them too!